Maria Pracher is special counsel in the Real Estate, Land Use and Environmental Practice Group in the firm's San Francisco office. Ms. Pracher’s practice focuses on land use and environmental law, representing landowners, developers and institutions in obtaining local, state and federal entitlements and permit approvals. A significant part of her practice involves counseling clients, consultants and agencies on compliance with the California Environmental Quality Act and the National Environmental Policy Act. Maria has represented clients in obtaining approvals for specific plans, master plans, multi-phased development plans, large residential and commercial projects, mixed-use projects, hotels, oil developments, coastal resorts, landfill projects and urban redevelopment projects. Ms. Pracher represented Lennar in connection with the EIR prepared for the development of the 700-acre CandlestickPoint/Hunters Point Shipyard Phase II project. This project will create a major new neighborhood in San Francisco with 10,500 residential units, over 300 acres of parks and open space, 885,000 square feet of regional and neighborhood retail space, artist space, 2,650,000 square feet of research and development space, new infrastructure and community facilities, significant community benefits and the opportunity for a new football stadium. The EIR received the 2011 Hard-Won Victories award from both the California American Planning Association and the Northern California Section of the APA. Ms. Pracher represented Lennar in connection with the environmental review and local entitlements for the first phase of the redevelopment of the Hunters Point Shipyard, which includes new infrastructure, 1600 homes, commercial space and open space. Ms. Pracher represented Forest City Development in preparing the EIR and obtaining the land use approvals for one of the most significant urban redevelopment efforts in Oakland's history — the "Uptown" project, located on a 14-acre site in the heart of the City between San Pablo and Telegraph Avenues north of City Hall. The project calls for 1,000 new apartments and condominium units and substantial retail and commercial development. It also involves a combination of financing sources, including tax exempt, mortgage revenue bonds, affordable housing tax credits, tax increment financing, direct subsidies from the City and Redevelopment Agency totaling nearly $50 million and private investment by an institutional equity partner. Ms. Pracher represented Signature Properties in connection with the EIR and land use approvals for the redevelopment of the Oak to Ninth Street site in Oakland, a 64-acre site along the Oakland Estuary. The project proposes conversion of a former industrial site to a new mixed-use community, including 3,000 residential units, 200,000 square feet of commercial uses, and 32 acres of open space uses. Ms. Pracher represented MacArthur Transit Community Partners in connection with approval of the transit-oriented development known as MacArthur Transit Village. The project is a new mixed use village consisting of 675 residential units, community and commercial space, open space, a new BART parking garage, and significant circulation improvements at the existing MacArthur BART station. Ms. Pracher provided advice regarding the preparation of the EIR, land use approvals, and negotiation of a development agreement. Ms. Pracher represented Signature Properties in preparing the EIR and obtaining the land use approvals for a mixed use project in downtown Oakland at the corner of Broadway and West Grant Avenue. The project redeveloped the site with more than 400 residential units and approximately 40,000 square feet of commercial space. Ms. Pracher provided land use entitlement and CEQA advice to Bridge Housing for the St. Joseph's Hospital Adaptive Reuse project. The project was approved to allow for the rehabilitation of the historic St. Joseph's site, including new construction for senior and affordable housing. 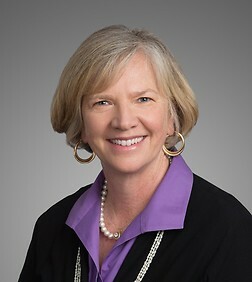 Ms. Pracher represented the Oakland Zoo in connection with the preparation of environmental review and approval of amendments to the Oakland Zoo Master Plan that allow construction of a new state-of-the art veterinary hospital (currently underway) and new exhibit areas highlighting native California species, such as wolves, grizzly bears and mountain lions. Ms. Pracher represented Callahan/DeSilva in preparing the EIR and obtaining the land use approvals for the Vallejo Station, a multimodal transportation facility and mixed-use transit village, and several residential communities with new parks and open space along the Vallejo Waterfront. The project includes over 1,200 residential units, over 560,000 square feet of commercial development, a major transit hub, public parks and plazas, and a new ferry parking facility. Ms. Pracher represents the developers of a new residential community and town center located on 300 acres in American Canyon. The project involves, among other approvals, preparation of a Specific Plan, negotiation of a development agreement, and preparation of an EIR. The project will create a new community with 1,250 homes, open space and trails, a new school, and a mixed-use town center with civic, retail, entertainment, commercial, visitor-serving and residential uses. Ms. Pracher represents the developers of a 2 million square foot distribution, warehousing, e-commerce and manufacturing center in American Canyon. Ms. Pracher is advising on the project EIR and the project approvals. Ms. Pracher is providing CEQA and land use advice in connection with preparation of an EIR for an urban marine research center on a 28-acre site at the Port of Los Angeles. The project includes adaptive reuse of several transit shed, wharf retrofits, construction of new facilities, and development of a waterfront promenade. The project will accommodate a marine research laboratory, a marine science business park, and a new interpretive center. Ms. Pracher has lectured at the California Continuing Education of the Bar Real Property Institute, the CLE International California Wetlands Conference, the CLE International Land Use Conference, and the Lorman CEQA Seminar.